For the second year in a row China Gold International, is proud to be a Gold Sponsor, for the Canadian Cancer Society annual charity gala. 900 guests attended the gala and this year the event raised $450,000 for Canadian Cancer Society. Last year the event raised over $228,000 for Canadian Cancer Society. Not only does our company focus on its profitability, but it also interacts and communicates with local communities actively by advocating Corporate Social Responsibilities and involving in social charities, such as continuous donations to Canadian Cancer Society. We focus on improving living and working standards on our mine sites as well. In 2010 CGG entered Tibet region with the highest standard of environmental stewardship and community relations. The company unveiled a robust economic plan for the surrounding communities. This included the development of infrastructure and schooling, greening, landscaping, water treatment, technological innovation and involvement and training of local labor. The average family income in the area grew approximately 12 times as individuals were hired and trained to the highest of standards. About 35% of Jiama's operation is staffed by local labor; this number is increasing. In 2012 19% of CGGs employees were women, and 27% were ethnic minorities. 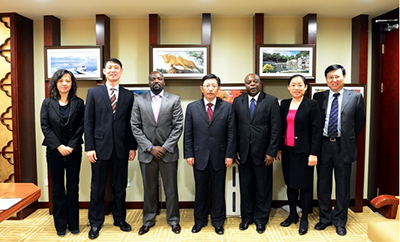 Jiama Mine established a joint venture with Jiama Town. 655 households became shareholders of the joint venture and many of those are employed in construction, transportation and other labor. These substantial improvements and the conscious way in which the company operates resulted in the Jiama project becoming a benchmark for mining projects in Tibet. We are focused on bringing those highest standards of business ethics in any region where we choose to operate in the future. Ron Kuehl, Vice President for Revenue Development, Canadian Cancer Society presented the appreciation plaque to Mr. Jerry Xie. 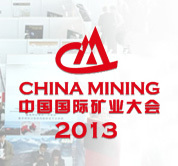 November 2-5, 2013 – China Gold International attended the 15th CHINA MINING Conference and Exhibition 2013 hosted by the Ministry of Land Resources, Tianjin Municipal Government and China Mining Association. Tianjin Meijiang Convention and Exhibition Center. Ms. Chunlan Sun (pictured second from right), Member of Political Bureau of CPC Central Committee and Secretary of CPC Committee of Tianjin, accompanied by Mr. Daming Jiang (pictured first from right), Minister of Land and Resources and Mr. Xingguo Huang (pictured second from left), Deputy Secretary of CPC of Tianjin and Mayor of Tianjin, visited CNG's exhibition and praised CNG's outstanding effort in developing and practicing the "green mine concept". Mr. Xin Song (pictured first from left), CEO of CGG, introduced operating standards of Chinese gold industry and described CNG's progress of development. Mr. Xin Song, CEO of CGG, (pictured in the middle) visits the exhibition section. Mr. Daming Jiang, Minister of Land and Resources, is giving a speech at the opening ceremony of the China Mining 2013 conference in Tianjin, China. China Gold International was proud to co-host a half day China Goes Global Symposium that featured the release of the 2013 report on the outward investment intentions of Chinese companies and a panel discussion on Chinese investment in Canada. The goal of the symposium was to promote a better understanding of China-Canada investment issues so as to strengthen mutually beneficial investment ties between the two countries. The Honorable Teresa Wat, Minister for International Trade and Minister Responsible for the Asia Pacific Strategy and Multiculturalism, speaking at the symposium. Mr. Jerry Xie, Executive Vice President and Corporate Secretary of the Company is delivering an opening speech at the symposium. Hosted each September in Colorado, the Denver Gold Forum (DGF) is the world's most prestigious precious metal equities investment forum. The Denver Gold Forum showcases seven-eigths of the world's publicly traded gold and silver companies when measured by production and reserves. The invitation-only event is attended by the world's leading specialist precious metal investors as well as generalist institutional investors. Buy- and sell-side analysts from around the world makeup the balance of the participants. September 13, 2013-In mid-September the Prime Minister of Canada, Mr. Stephen Harper, made an appearance at a barbeque at Okanagan Lake, British Columbia. Also in attendance were various federal ministers and invited guests. China Gold International’s Executive Vice President, Jerry Xie was an invited guest as a member of the local business community of western Canada. 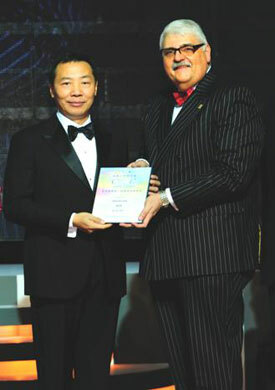 During a conversation with several federal ministers, Mr. Xie stated, “As a Canadian Company listed on the Toronto Stock Exchange, China Gold International adheres to its philosophy of being extremely mindful of the environment and cultivating harmonious communities.” Mr. Xie also mentioned that China Gold International has received numerous recognitions and awards for being an industry leader in harmonious mine development along with lots of support and praise from the local residents living by the Company’s existing mine sites. Mr. Xie further expressed the Company’s strong interest in participating in the development of Canada’s natural resources. August 1, 2013 -The Company reached a monumental milestone in the expansion construction process by completing its new additional 30,000 tpd crushing system, which is currently being tested. A ribbon cutting ceremony was held at CSH on August 1, 2013 for a test run on its newly completed 30,000 tpd stand-alone crushing facility. Mr. Xin Song, the CEO and Executive Director of the Company, attended the commissioning ceremony for the crushing facility and reviewed the progress of the rest of the expansion. He commented, "We are very pleased with rapid execution of our expansion plans on both of our mines. We are proud to assure our shareholders that we are upholding our commitment to them on the expansion construction timeline. CSH mine has made a tremendous progress to complete the crushing facility ahead of the schedule by utilizing the talents of our people and the strengths of our major shareholder China National Gold. I would like to congratulate all members of our team at China Gold International Resources on this progress. I would also like to thank our board and shareholders, who continue to believe in and support us in our efforts. Mr. Xin Song, CEO and Executive Director congratulates the Company on reaching a monumental milestone in the expansion construction and completing the crushing facility. May 16, 2013 - China Gold International's Health Safety and Environmental (HSE) Committee visits CSH mine to ensure Company's compliance with applicable HSE regulations.